Dopo l’esperienza del 2017 con la stessa partitura – tra Milano e Pavia sotto la bacchetta del Maestro Renzetti – il Coro Costanzo Porta torna a collaborare con l’Orchestra I Pomeriggi Musicali di Milano per la Nona Sinfonia di Beethoven, questa volta diretta da James Feddeck, talento emergente della direzione d’orchestra a livello internazionale. Il giovane newyorchese approda a questa conduzione da ospite dell’ensemble milanese dopo recenti esperienze con altre rinomate orchestre europee e nordamericane quali la Vienna Radio Symphony, Deutsches Sinfonieorchester Berlin, Orchestre National de France, BBC Symphony, BBC Philharmonic, Royal Liverpool Philharmonic, Barcelona Symphony, Stockholm Philharmonic, Helsinki Philharmonic, City of Birmingham Symphony Orchestra, the Hallé Orchestra, Chicago Symphony, The Cleveland Orchestra, San Francisco Symphony, Seattle Symphony, Detroit Symphony, and the Toronto Symphony. Sono previsti tre appuntamenti al Teatro dal Verme con quello che è forse il più celebre capolavoro beethoveniano: due il giovedì 17 ottobre – la mattina alle 10:00 con le prove generali aperte al pubblico e alle ore 21:00 con l’unico concerto serale – e sabato 19 ottobre con una replica pomeridiana alle ore 17:00. 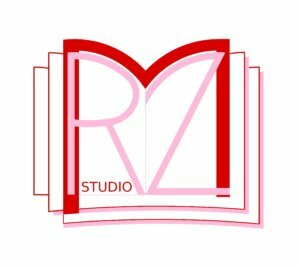 Tutte le info e gli aggiornamenti sul sito del Teatro Dal Verme. 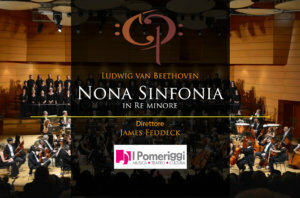 After a previous experience in 2017 on the same score – played between Milan and Pavia under Maestro Renzetti’s baton – the Costanzo Porta Choir goes back to collaborating with the Orchestra I Pomeriggi Musicali of Milan for Beethoven’s Ninth Symphony, this time under the lead of James Feddeck, a young conducting talent who is rapidly making a name for himself on the international stage. 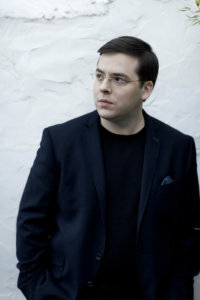 Born in New York and hailed by the Chicago Tribune as “A gifted conductor who’s clearly going places”, Feddeck is a winner of the Solti Conducting Award, the Aspen Conducting Prize, and is a former Assistant Conductor of The Cleveland Orchestra. He lands this engagement with the Italian ensembles following recent appearances with many other leading European and North American orchestras including the Vienna Radio Symphony, Deutsches Sinfonieorchester Berlin, Orchestre National de France, BBC Symphony, BBC Philharmonic, Royal Liverpool Philharmonic, Barcelona Symphony, Stockholm Philharmonic, Helsinki Philharmonic, City of Birmingham Symphony Orchestra, the Hallé Orchestra, Chicago Symphony, The Cleveland Orchestra, San Francisco Symphony, Seattle Symphony, Detroit Symphony, and the Toronto Symphony. There will be three chances to listen to his effort with I Pomeriggi Musicali and the Costanzo Porta Choir at Milan’s Teatro Dal Verme: twice on Thursday 17th October – for the open dress rehearsal in the morning at 10 a.m. and for the only evening concert on 9 p.m. – and again on Saturday 19th October for an afternoon performance at 5 p.m.
All info and updates on the website of Teatro Dal Verme.